Google provides businesses with something simply called a ‘listing.’ Go on Google Maps, and you’ll see it right there on the left side. 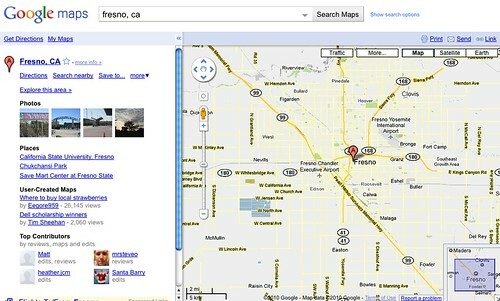 Users can use a search engine to find any kind of business they want and where that business is located. For instance: type in ‘construction,’ and on the Google Map on the right will be every single listing. Pretty nifty. This means every single user can type in your type of business, and your listing will show up. Including the location on the map. That’s pretty handy, don’t you think? Here’s the thing, though…. Consider the Name of the Business! It’s called “Local.” It is local. Let’s be fair here, though. Most small businesses might want to stick to a more localized setting. This, however, doesn’t mean that a small business can’t expand. What then happens is a small business outgrows the use of “Google Local” (sorry, Google Places — pardon me, Google, for the mix-up). You don’t need to keep the listing, because your marketing and advertising base has surpassed the local setting. And, really, that’s what the service provides — a local setting service for those looking for a particular type of business within their area. That’s why it’s a 4 out of 5. You see? As any small business would know, you can’t deny all kinds of help at all. Even the smallest bit of marketing will help! So use it. Go ahead and use the “Google Local” service. It’s quick. It’s easy. And in the long run, the locals will provide that foundation for your business. That’s how you start up anyway. You’ve got to start somewhere, right? This entry was posted in Marketing, Sales, Small Business and tagged advertising, business listings, consumer base, Google Local, Google Maps, Google Places, marketing, small businesses by Pierre. Bookmark the permalink.